Boeing 747 8, are we falling out of love? Our love affair with the Boeing 747 goes back 4 decades to those heady days of aviation when fuel was cheap and Juan Trippe and the boys at Pan Am asked Boeing to build them a much bigger airplane. Never has an airliner captured the imagination of the public, appeared in so many movies and made travel possible as much as the venerable Queen of the Skies. We have seen her grow through 5 main variants, the 100, 200, 300 400 and SP. Of all these, the 747 400 has been the most successful. We know her well with her stretched upper deck bubble and winglets. Never a real beauty but certainly majestic, she was seen at every major airport in the world. With 442 produced she was the flagship of many of the worlds airlines. It has now been 10 years since the last 747 400 Jumbo jet was handed over to China Airlines. A decade. 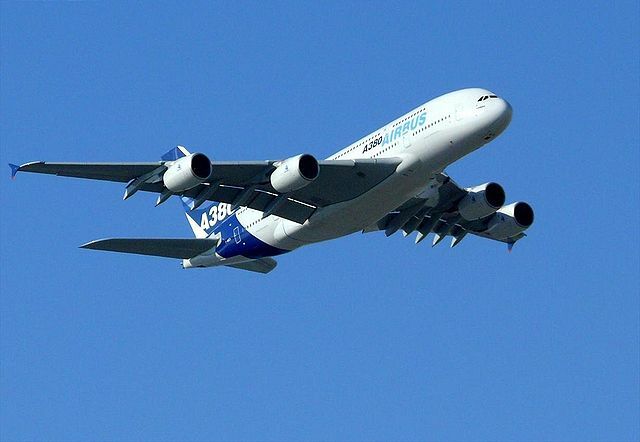 It is also a decade since Airbus entered the Jumbo airliner market with their A380 Super Jumbo. Of course the A380 had been in development for many years already and perhaps it’s coming prompted orders for the 747 400 to diminish in anticipation. 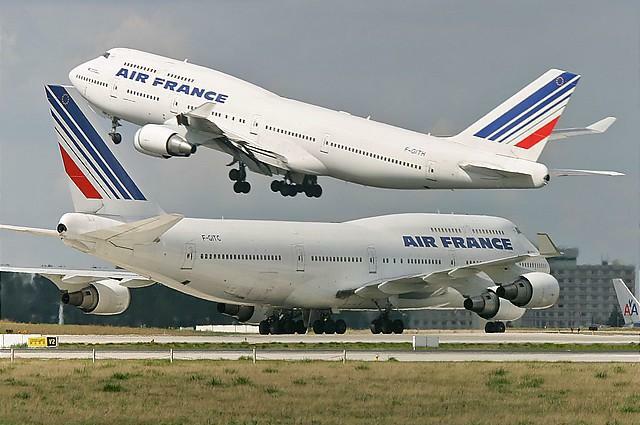 Two Boeing 747 400s of Air France, one climbing out while the the other taxis. So where was Boeing? The 747 400 program was winding down, but it seemed like there wasn’t successor waiting in the wings to take over. There were a few attempts at tempting the market with a fully two decker version and a few other variations, but nothing concrete that the market wanted. As we know, in the end a significantly stretched version of the old 747 shape was decided upon and flew for the first time 5 years after the last 747 400 was delivered. The Boeing 747 8 comes in two versions; the Boeing 747 8 Intercontinental and the Boeing 747 8 Freighter. Boeing were hedging their bets by appealing to two arms of the market, just as they did with the first 747 which is why we have the bubble cockpit on top. This allows a nose door to be installed for straight through cargo access to the main deck. So, why are we falling out of love with our Jumbo? Well, more particularly, why are airlines falling out of love? The correct question might be why haven’t airlines fallen in love with the Boeing 747 8? Sales have been very soft, certainly for the 747 8 Intercontinental, the passenger version. But, let’s not think it’s all about Boeing. Airbus have also been experiencing a challenge with their A380 sales, with not one new customer being added in the last 3 years. They need to build and sell 30 aircraft a year to make it an economically viable product. This challenge is further exacerbated by the fact that second hand A380s are starting to come onto the market with airlines like Malaysia Airlines and Thai International talking of selling some of their 3 year old aircraft. This will seriously undermine the prices of new aircraft. An Airbus A380 in flight in Dubai in November 2006. So what are airlines doing about their long haul high volume routes? It’s almost as if they are hedging their bets to see which way technology goes. We know that the skies are starting to belong to the big twins. Airliners such as the Boeing 777, Boeing 787, Airbus A350 and Airbus A330 are now becoming the main stay of many of the worlds airlines. But still they seem to want a Jumbo in their fleets. In the last few years we have seen major airlines like British Airways, Virgin Atlantic, Thai International and QANTAS to name but a few, go through major refurbishment programs on their 747 400s. QANTAS for example has completed a $250 million program to update and upgrade the interiors of 9 of its 747 400s. The selling point being, that now the 747 400 seats are just like those on their Airbus A380s. So are airlines waiting to see what happens with the Jumbo market? When you consider that the list per unit price for a Boeing 747 8 Intercontinental is US$357.5 million and the cost of an Airbus A380 is US$318 million it makes sense to spend $250 million and have 9 airliners. It seems the end of the age of the Jumbo four engined airliner may be not far off. Airbus and Boeing will pull the rug at some stage if they can’t sell them and concentrate on their cash cows; the Boeing 777, Boeing 777X and the Airbus A350 XWB. We would love to hear your experiences travelling on a newly refurbished Boeing 747 400. Do they feel new, do you feel this is money well spent by the airline?